"Challenge of Pasteur Scientists for Innovation:　A Case of Photocatalyst"
"Actemra and Remicade : Key Factors to Determine First Mover Advantage in R&D Process of Both Antibody Drugs"
"Absorptive Company: Sources of R&D Capability in Hamamatsu Photonics K.K." 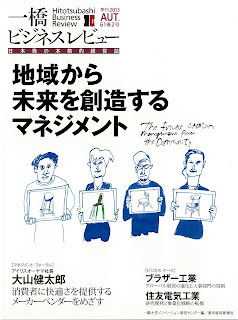 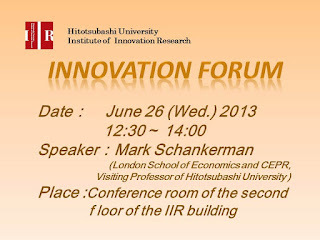 "Cross-Bounding Knowledge: Learning from America's Experience of Industry - University Collaboration and the Change in Academic Values"
"A Consortium - Based Approach for Open Innovation: Exploring a Unique and Optimal Model for Japan and Stem Cell Technology"
"Process of Industry - University Co - Inventions: Findings from a Large Scale Questionnaire Survey on Industry - University Collaboration in Japan"
"Building a Next Generation Creative Urban Workforce for the Digital Economy: A Case Study of Urban Apps & Maps Studios Program"
"Management by Knowledge Maneuverability: Synthesizing Knowledge Creation and Maneuver Warfare"
This workshop focuses how incentives and knowledge matter for introducing innovative drugs in market. 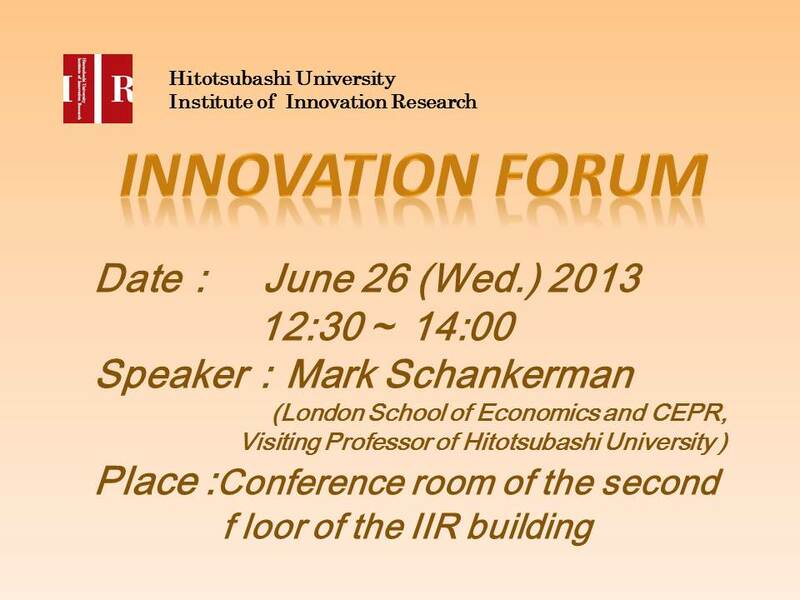 It invites Prof. Mark Schankerman of LSE to present key findings from his ongoing research on “Global Diffusion of New Drugs: Patent Policy, Price Controls and Institutions”. 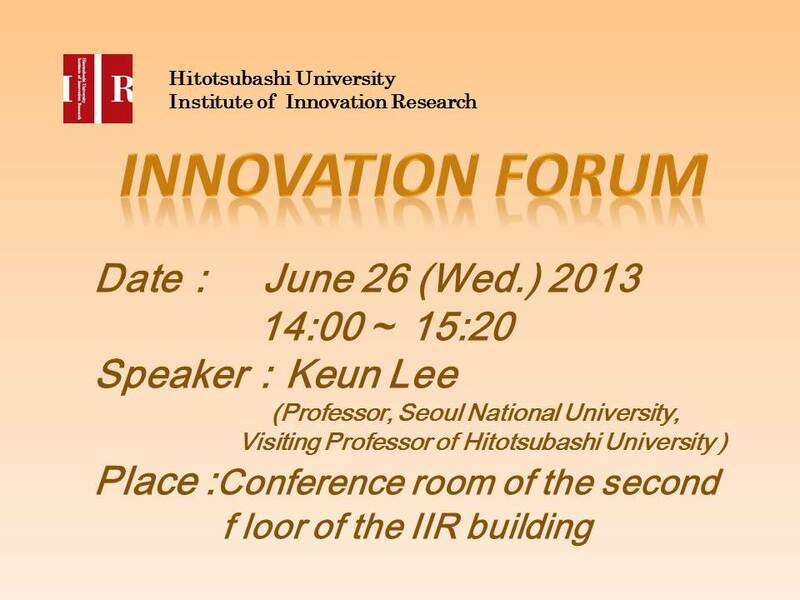 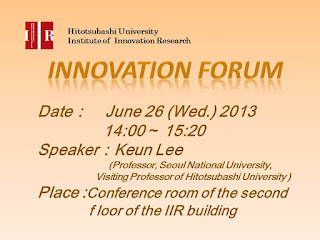 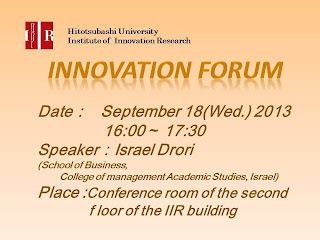 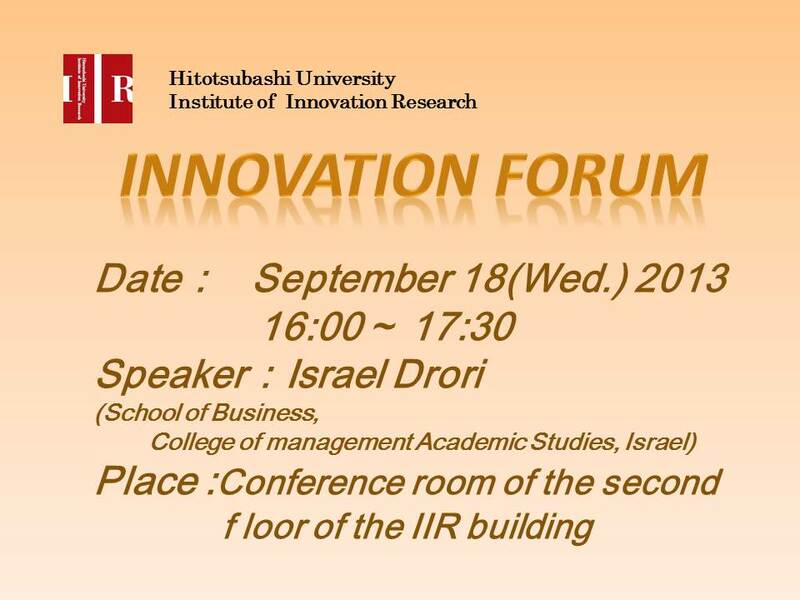 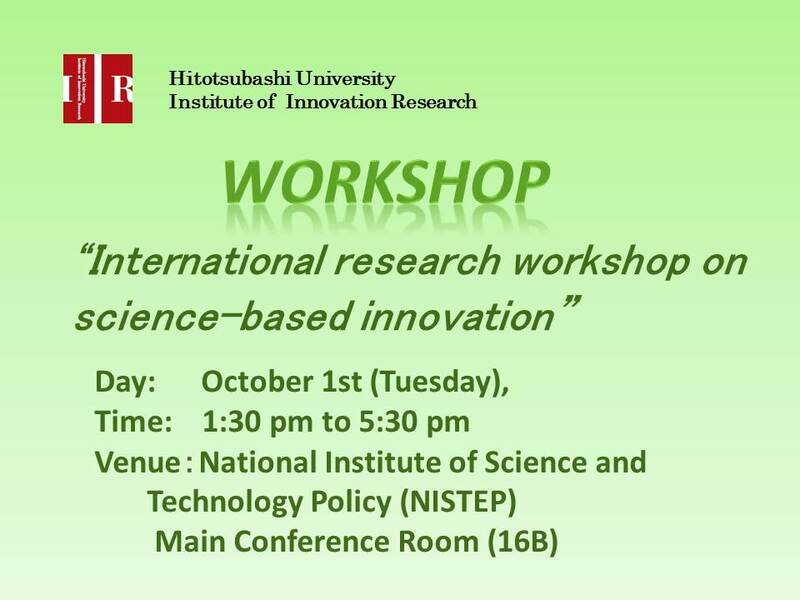 It also presents preliminary findings from ongoing collaborative research on “Scientific Sources of Innovations and Economic Impacts of Science”, organized by Institute of Innovation Research, Hitotsubashi University and supported by Japan Science and Technology Agency (JST). 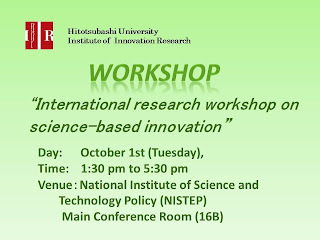 This research workshop aims to draw implications for future directions of policy and research for promoting pharmaceutical innovation. 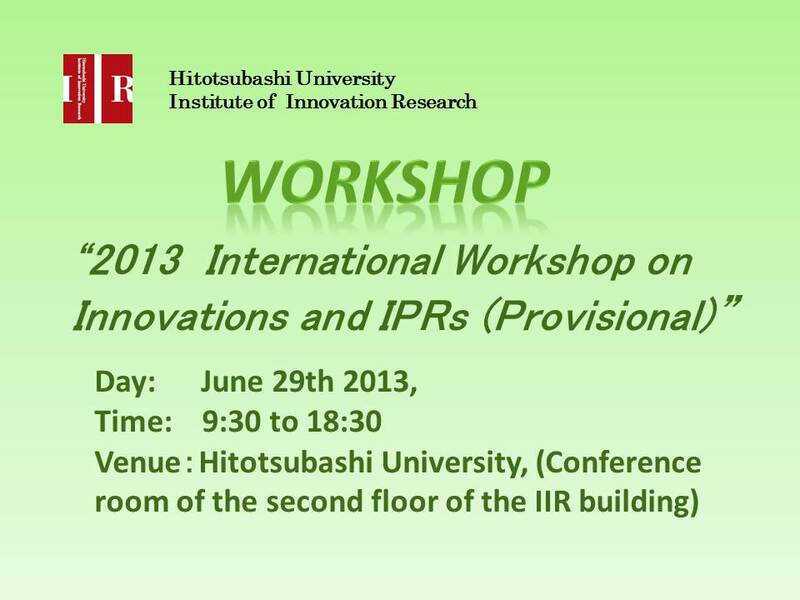 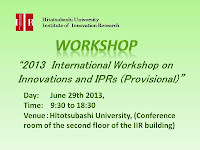 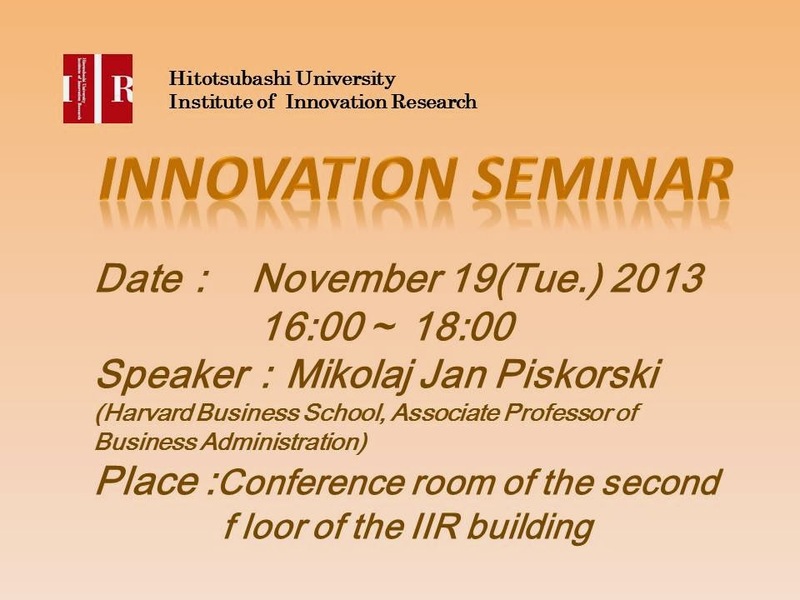 Those who would like to participate in the workshop are invited to send the Email to the following address (sympo201310☆iir.hit-u.ac.jp (to use this email address, please replace the ☆ with an @ mark)), with his/her name, affiliation and title. 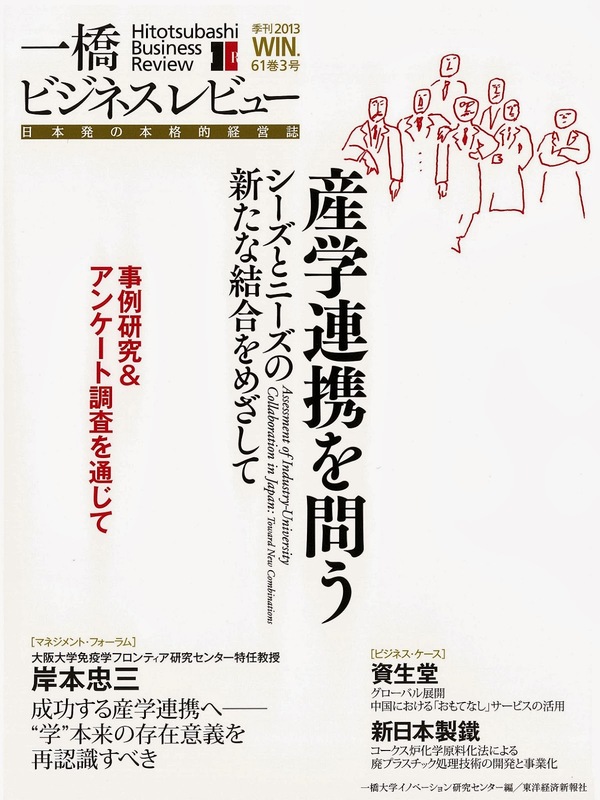 "The Creation Management from the Community and University Education"
"Diversity:A Key for Creating Active Local Communities"
"The Turmoil in Human Resource Development: Why the Gap between the Buisinesses and Universities happen?" 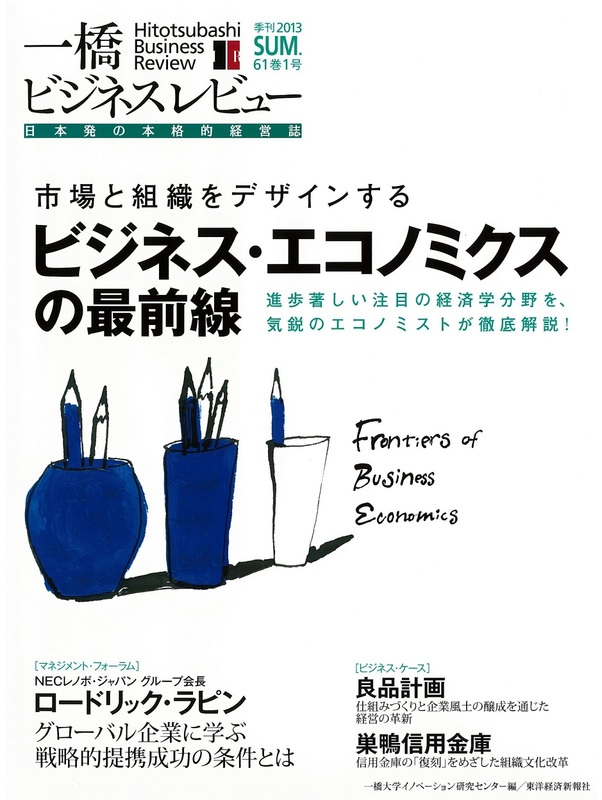 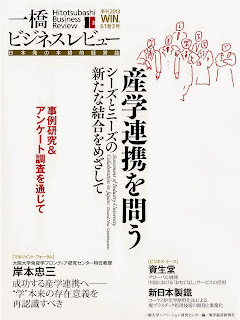 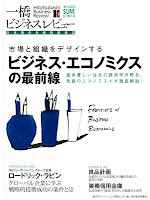 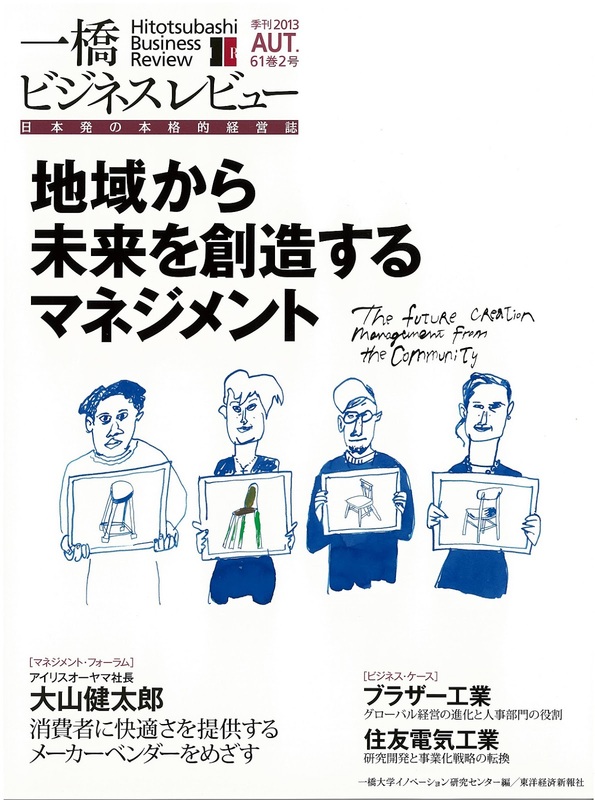 "The Logic for Making Economy and Society in ‘Machi-Zukuri’"
"On Management of the Civic Associations that Support Regional Culture Creation: Two Cases of Civic Music Festivals in Japan"
The development of global managementand the role of human resouces department: How headquarters can assist overseas subsideries being autonomous? 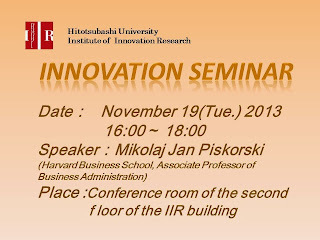 "Supply Chain Management for Private Brands:The Case Study of Seven Premium"
"Market Design in Business, Theory and Practice"
"Behavioral Economics and Industrial Organization: Naive Consumers and Markets"
"Economics of Human Resource Management: The Role of Promotion in Organizations"
"Incentive Effects of Heterogeneity in Organizations"
"Theory on Innovation is a Pragmatic“Way of Life” : Including the New Wave of Philosophy into the Knowledge-Creating Theory"
"Diffusion of Innovations and Legitimation: The Case of ‘Jibun e no Gohoubi'〔Self-Reward〕Consumption"